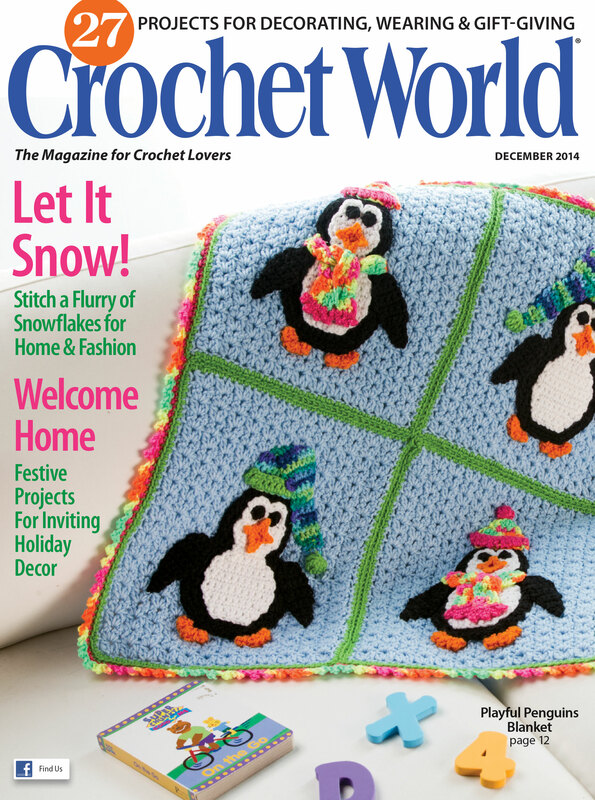 The December 2014 issue of Crochet World magazine just came out and in it you will find a lot of great designs. Just check out Terry Day’s adorable Playful Penguins blanket on the cover! This entry was posted in Crochet and tagged caron yarns, crochet scarf, Crochet World, simply soft.